I want to write more about this picture however I can not find the poetic words that can satisfy how I wish to convey its awe-ness to me. I wished I could be standing with those three people and stare right up the rock structure and then turn right and see the sun setting and welcome it’s rays upon my face. But I got the next best thing. This picture. The opportunity to capture it and frame it and share it with you, my audience: this photograph is for the both of us. 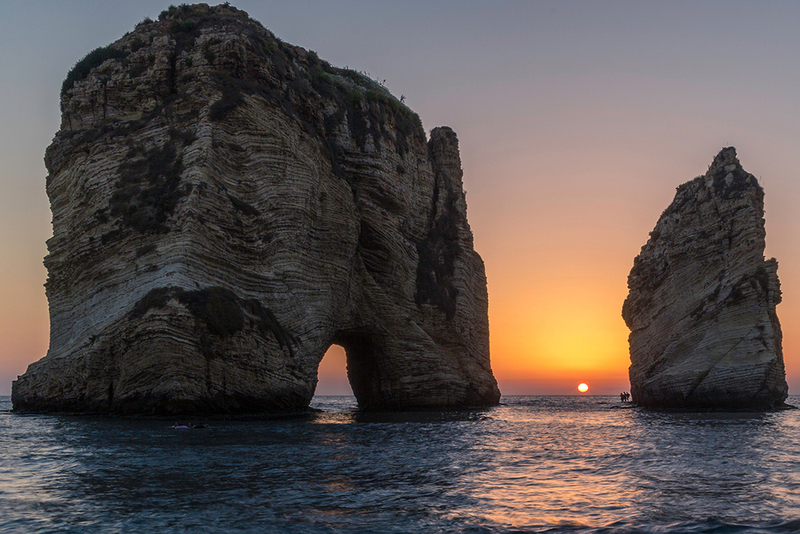 Taken at the Roauche landmark off the coast of Beirut, Lebanon.